Interesting chart below from Patrick O'Shaughnessy, which shows the worst case scenario for stock markets around the world during different time intervals from 1900 to 2012. The United States market was one of the top performers, which is unsurprising considering the United States dominated the growth in the global economy during the 20th century. The U.S. also never had to endure war taking place on its own soil, which devastated some of the major countries during the WWII years. There is a case to be made, however, that no market experiences exponential growth forever, especially when that market becomes enormous in size relative to the rest of the world. The common assumption is that if you buy for the long term it makes no difference when you enter the market. You'll notice that 12 of the 21 markets were down for periods longer than 30 years. 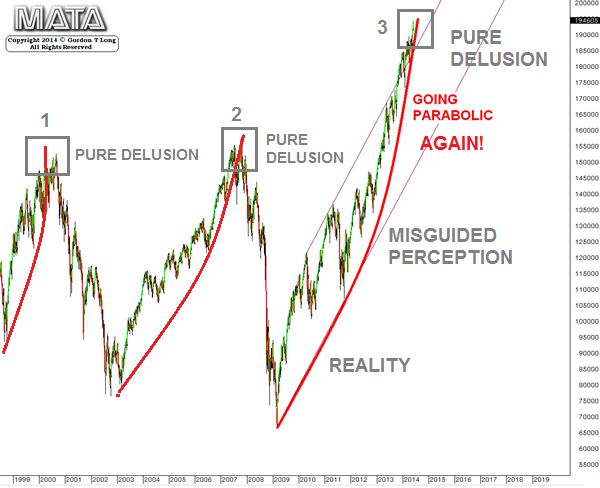 With the United States currently one of the most expensive stock markets on the planet, do investors have 40 to 50 years to recover if something goes wrong? unfortunately, it didn't answer my question. what is the basis for the 1 yr, 3 yr, 10 yr, etc...Is it the WORST that the respective markets have ever performed over the 1/3/10/etc year time period? 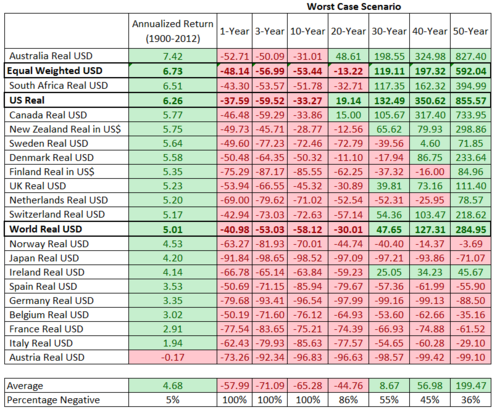 in other words, the US's worst 1 year decline ever was 37.59%, and the worst 50 year performance ever was 855.57% gain? That is how I interpreted the chart.